How many of you have holiday traditions with your pet? Do you take your four legged friend for pictures with Santa? If you answered yes, mark your calendars for December 1 and 2, then make plans to attend a holiday extravaganza full of photo ops and fun for you and your dog. 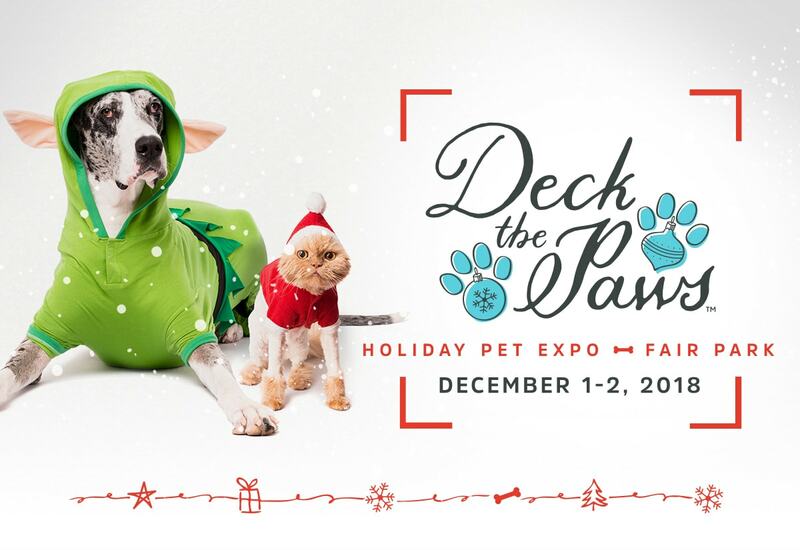 Don’t own a pet at the moment, but love animals, well Deck the Paws is the festival for you! This year Dallas is hosting a two day holiday festival known as, Deck The Paws at Fair Park, packed with ‘paw-tastic festivities’ for you and your pet. Bring your leashed pet and your Christmas shopping list as you browse items from over 100 vendors or explore your cultural side with North Texas’ first interactive art exhibit for dogs. One stop shopping for gifts for people and pets with the added bonus of helping local rescues. Deck the Paws is produced by Unleashed Paws, and benefits Artists for Animals, DFW Pup Patrol Fans, and Operation Kindness. 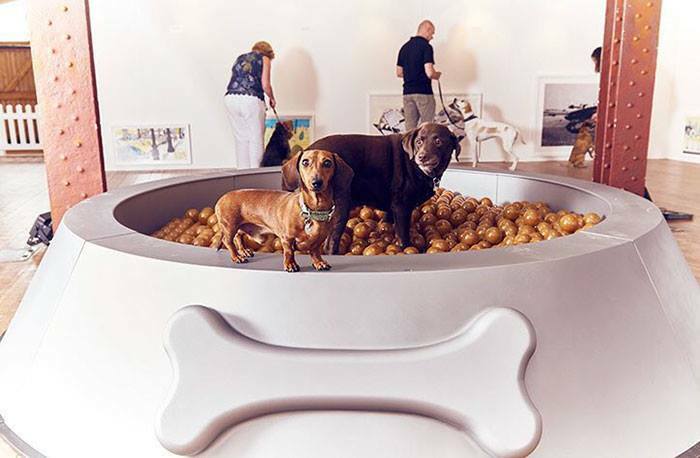 Maybe you don’t have a dog but have been considering adding a furry friend to your home. Great, please come out and visit one of the local rescues attending the event. We met our rescue dog, Izzy, while mingling with the folks from Border Collie Rescue and Rehab at the North Texas Irish Festival. There will be dog and cat rescues on hand, and festivals are a great place to learn more about a breed and the adoption process. Also, BCRR and other rescue groups are in desperate need for volunteers and this event is a great time to meet members and learn how you can help save dogs/cats. Fostering is such a rewarding experience and a great way to involve the whole family in giving back, while teaching children the responsibilities or pet ownership. Trevor Douglas, American Idol Top 24 finalist from Season 14, Dec 1, 4pm and Dec 2, 2pm. Picasso Paws Art Zone, where your pets can create their own artistic mutt-terpiece like Vincent van Dog, Pug-casso and a Mew-net! How do you get tickets to Deck the Paws? *VIP(erson) & P(et) package includes access to VIP lounge, free parking, one free photo with Santa Claus, human and dog cookie bar, sWag bag!